The event was hosted by Keimyung University. 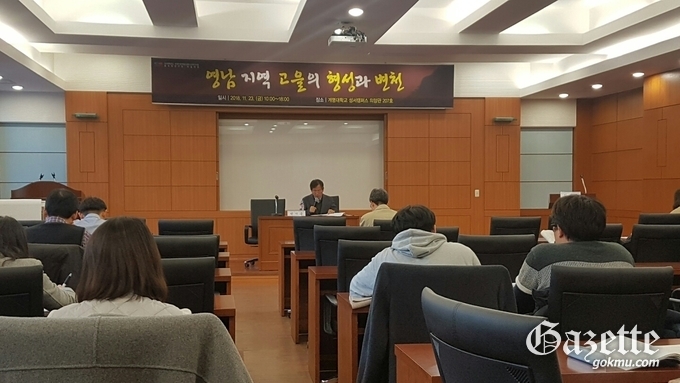 The Arts and Humanities Research Institute, Academia Koreana, held an academic conference on November 23 under the theme of ‘Formation and Transformation of the Old Town in Yeongnam Region.’ The conference tracked historical changes by the province and attempting to restore the structure. Researchers from the disciplines regarding ancient Goryeo and Joseon Dynasties conducted a discussion based on the period of their interest, limited to the traditional era. It was announced that the participation of a history geography researcher or GIS specialist would help them explore how such work could be done through cooperation. Although this has been done in a variety of fields in geography and urban engineering, there are still many problems to be solved. A considerable number of villages are known, but there is a need to be more systematic, according to the chief of Arts and Humanities Research Institute, Academia Koreana.